Notes: Made in summer 2011. 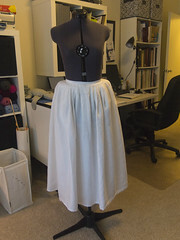 I needed a light colored petticoat for wearing with translucent overpetticoats, as my other underpetticoat is black. 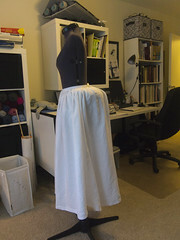 The waistband was originally made out of linen tape, but eventually I had to replace that with new cotton tape in 2013. The first waistband came apart after repeated washings.